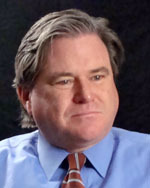 Timothy Dwyer became Executive Editor of The Day in July 2007. He began his career at The Boston Globe while a student at Northeastern University. After seven years at the Globe covering everything from cops to politics, Dwyer joined the staff of the Philadelphia Inquirer. He received the George Polk Award for national reporting, along with colleague Robert Frump, in 1983 for a series of investigative stories on the U.S. maritime industry. He served as deputy sports editor, a general sports columnist and sports editor. His work has appeared in The Best American Sports Writing literal anthology. Dwyer covered three Winter Olympics games, the World Series, the Super Bowl, the Stanley Cup Finals, the NBA playoffs, the NCAA basketball tournament, the Ryder Cup, the America’s Cup and World Cup skiing. After 20 years at the Inquirer, he became a metro reporter at The Washington Post. Dwyer covered President Bush’s second inauguration, Hurricane Katrina, the Virginia Tech massacre, and the trial of the only terrorist convicted in connection with 9-11, Zacarias Moussaoui. Timothy Dwyer, executive editor, The Day, says he and his editors developed a plan to organize “a perfect newsroom” with emphasis on local news, online infrastructure and watchdog journalism. As a tradeoff, the newsroom prioritized its operations and eliminated dedicated feature reporters.